We support clients within a range of different industries to help them comply with The Fire Safety Law. Client’s vary and some include Care Homes, Schools, Industrial, Offices, Shops, Houses of multiple occupancy, Hotels. Service range from those above, care homes tend to be on service contracts and buy all services in a package for their homes. Fire Safety is a requirement for all business to comply with, employers who have 5 or more employees must have written documentation to demonstrate compliance. The Responsible Person must ensure they have a comprehensive Fire Risk assessment in place for the premises, if they are not capable of writing their own they will need to employer a company to undertake this on their behalf. Consideration for experience , knowledge, qualifications, all need to be take into account. 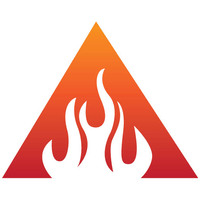 Benfield Fire Safety have a team of ex fire managers who have the skills and knowledge to deliver this service to clients as well as a wealth of qualifications and experience to deliver all aspects of training as per our services. Most businesses will have a fire alarm system within the premises this will alert all occupants of a possible fire, however the key aspect will be how staff react to the fire activation and how they keep people safe under their control. All business should have a comprehensive (FEEP) Fire Emergency Evacuation Plan that details the actions to be take in the event of fire. Every business must also have (PEEP Personal Emergency Evacuation Plans in place for persons with disabilities, these will vary and can include mobility, hear of hearing, visual impairment and late stages of pregnancy. Benfield Fire Safety are one of the only companies who also deliver digital fire simulation training within the work place for businesses. The digital simulator allows for fire setting within any inside environment and we use laser fire extinguishers and smoke goggles to replicate a real life scenario. We also have the ability to fire set in an outside environment with a gas simulator where we use real fire extinguishers on a variety of different fire types. We can also supply and install fire extinguishers and Evacuation chairs.